I need a logo for my new minecraft hosting company, It is called cloudfrosthosting. I need a logo design done for a small amount of money. The text is 'CloudFrost' but, if you can fit hosting in there it would work also. Be creative! THE TEXT IS "CLOUDFROST" NOT "FROSTCLOUD"
Please check and feedback #48 , #49 , #50 , #51 , #52 . Thanks. 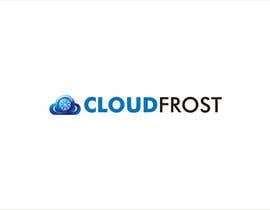 Hello, the text logo is cloudfrost or frostcloudhosting? Please make a new submission without 'Minicraft' in it. Hello, please give feedback on #32 #33, Thank You. And #29 & #30. Thanks. please give me a feedback to my entry. thank you, waiting for your reply. Can you please give feedback on #26? Do you not like the clouds, the font, the color of the font, the background? Go with something more crisp and clean. I got the name correct in submission #12, as well as putting a cloud. Aparently my vision is out in left field. Any clarification to help out? Go for something simple, a crisp cloud (not one that looks like the one on the weather channel) and, you may include the word 'hosting' in the logo if you like. Please rate and give feedback on entry #10. Thank You. You got the name backwards. Earlier you said the test is cloudfrost, which is what I had changed it to. TIP: Something using a cloud would be nice. Please rate and give feedback on #9. Thank you. Hello , please check my pmb.